QMI designs and manufactures wireless devices and modules for system integrators and end uses. All QMI WiFi products meet IEEE802.11 a/b/g standards or soon-to-be-ratified 802.11n standard. The form factors include SiP modules for handheld devices, PCI-E modules for notebook computers, mini-PCI modules for embedded applications, and Cardbus card and USB dongle for end users. In addition, QMI's product portfolio is enriched with various WiMAX CPE and client card devices powered by UWB (Untra-Wide Band) and Zigbee technologies. For handheld devices and ultra compact notebook computers that have limited internal space, QMI offers highly integrated solutions with WiFi, Bluetooth, GPS and DVB-H functions in a single module. QMI not only dedicates to produce leading edge products but also commits to high quality customer supports. Multimedia entertainment will be the most important application in Digital Home. QMI is dedicated to develop and manufacture various multimedia products such as Home Gateway, IP-STB, DMA and Audio products. 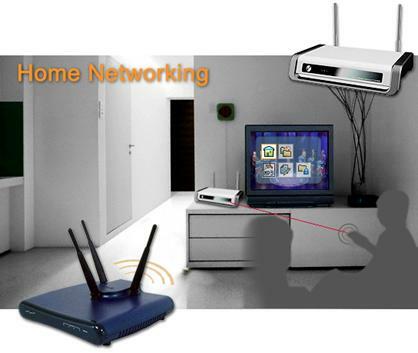 To interconnect these modern multimedia entertainment devices within the home environment, QMI is also putting great efforts to integrate the connectivity solution like 802.11a/b/g, 802.11n, WiMAX Power Line Communication (PLC), Bluetooth and Zigbee. Multimedia Entertainment, Home Networking and Home Control are the missions for QMI to bring the digital entertainment into real life.